Nashville, Tenn. (Feb. 6, 2018) – Recorded live with the sold-out backdrop of Atlanta’s Philips Arena, Infinite Energy Center and Washington D.C.’s The Anthem, Whole Heart, the newest collection of songs from Passion, will street digitally on Feb. 23 followed by a physical release date of Mar. 23. Passion 2018 brought together more than 32,000 students from 700 universities and 35 countries to three arenas in Atlanta and for the first time Washington D.C., in addition to a simultaneous live stream. Worship leaders and bands leading at this year’s gathering included Passion (helmed by Kristian Stanfill, Brett Younker and Melodie Malone), Crowder, Matt Redman, Jimi Cravity, KB, Brooke Ligertwood, Andy Mineo and Tedashii. This upcoming live recording of Whole Heart will include “All My Hope,” “More Like Jesus,” “Reckless Love” and “Almighty God.” The title track and “God, You’re So Good” will be the first tracks unveiled this Friday, Feb. 9. Passion believes worship and justice go hand in hand. Students sponsored 3,330 children through Compassion International, raised $103,623 for Voice of the Martyrs Korea, which distributes Scripture in North Korea, and brought supplies for children affected by Hurricane Harvey. The gathering of 18-25 year-olds continued to fight modern day slavery through The END IT Movement, assisting in awareness, prevention, rescue and restoration. Whole Heart follows in the footsteps of beloved top-selling Passion releases, including last year's Worthy Of Your Name which topped Billboard's Top Christian Albums chart. Registration for Passion 2019 will be available tomorrow, Feb. 7. From its start in 1995, Passion has been rooted in the confession of Isaiah 26:8 – “Yes Lord, walking in the way of Your truth we wait eagerly for You, for Your name and Your renown are the desire of our hearts” - existing to glorify God by uniting students in worship, prayer and justice for spiritual awakening in this generation. Passion has encountered millions of students and 18-25 year olds, young people whose lives have been transformed by the power of the Holy Spirit. One of the most impactful and stirring aspects of the movement has been the sea of voices uniting together to lift up the name of Jesus, currently helmed by Kristian Stanfill, Brett Younker and Melodie Malone. The band has seen worship leaders such as Chris Tomlin, Matt Redman, Crowder, Christy Nockels and more unite over the years, writing, recording and leading arenas in worship. Transcending the conferences, songs from Passion have become some of the most recognizable and unforgettable worship anthems of this generation. With 1.9 million units sold and a multitude of chart-topping singles such as “How Great Is Our God,” “God Of This City,” “One Thing Remains,” “Even So Come” and “10,000 Reasons (Bless the Lord),” listeners across the world continue to be impacted by the music of Passion. Delivering new projects annually, songs from records such as Here For You, White Flag, Let The Future Begin, Take It All, Even So Come, Salvation’s Tide Is Rising and Worthy Of Your Name have become timeless staples in the Church. The four-time Dove Award winners have had eight albums debut at No. 1 on Billboard’s Christian Albums Chart with three hitting the Top 5 on the Billboard 200. Through it all, Jesus continues to remain at the center. Passion is more than music. More than events. Passion is a generation living for His name. 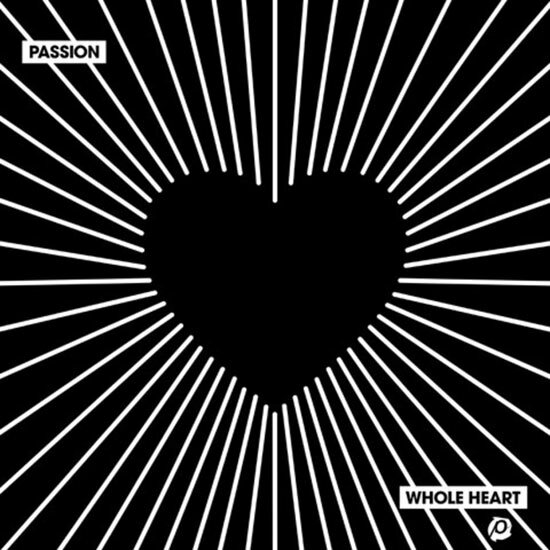 Whole Heart will release digitally on Feb. 23. For more info on Passion, visit the JFH Artists Database.